Adams Run homes for sale are located in Simpsonville, in the five forks area. The community began development in the late 1980’s and has since grown to become 144 home sites. 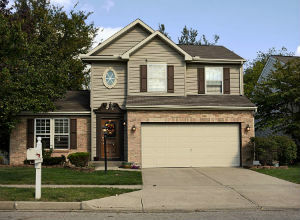 Adams Run consists exclusively of single-family detached homes. This is a fantastic location, in the foothills of the Blue Ridge Mountains, with easy access to neighboring community such as Greenville and Greer. Interested in learning more about homes for sale in Adams Run, Greenville? Read more about schools and community amenities or browse through our Greenville MLS listings that feature Adams Run properties below. Adams Run real estate includes many properties which have lakeside views, which acts as the community’s centerpiece. Homes here range from 1,800 to 3,000 square feet in size and offer residents an array of nearby amenities and conveniences. Primarily Adams Run homes have traditional layouts and distinguished by their well-kept yards, slopping roofs and welcoming front porches. Are you looking for a home in Adams Run? If so, we'd be happy to help you with your next real estate transaction. As local experts, we can help you arrange viewings, learn more about the area, and streamline finding a new home. Contact us today!